In 2011, Diageo tried to improve consumer interest in Jose Cuervo Tequila by promoting the frozen shot. They believed that frozen Tequila would be more palatable, which would break down the previous taste barrier – consumers were put off by the harsh taste. Therefore the frozen shot is the perfect catalyst to make consumers fans again. 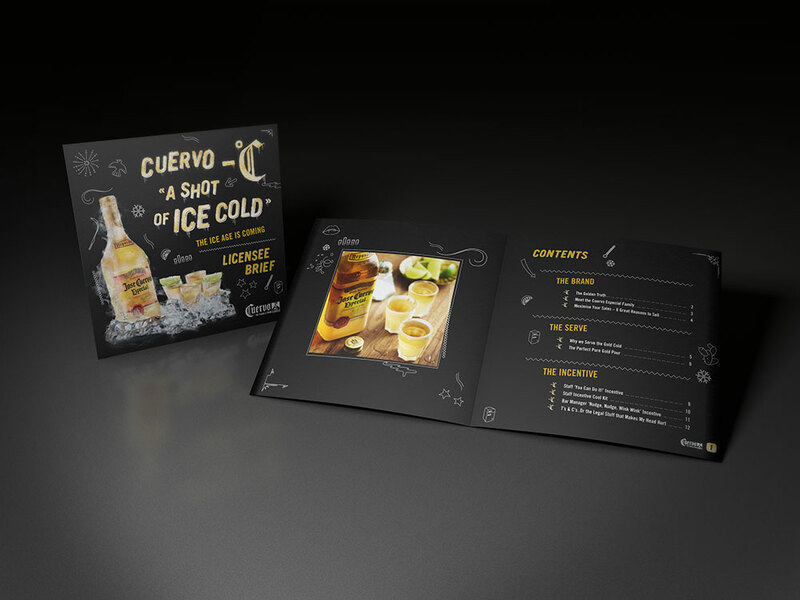 Using the campaign visual guidelines, Braulio designed this brochure to educate bar owners about the product and this innovative way to enjoy it.